BuddyPress 2.0+ compatible with full skin included! 12 Custom WidgetsWe’re trying to make your job easier, so we have included 17 custom widgets that you can easily drag and drop to activate and customize. Place the widgets in any sidebar or widget area. And we’re always adding more upon user request! Jollyany, A Classy Multi-purpose WordPress Theme available for purchase.. Jollyany Multipurpose theme is packed with infinite features and functionalities like clean, creative, retina ready, responsive WordPress theme ideal for creative use, photography, portfolio showcase, modern businesses, agency, fashion, blog, shop, personal use, etc.You might have planning to develop any kind if website, we guarantee that our Jollyany Multipurpose WordPress theme will suits all your needs. 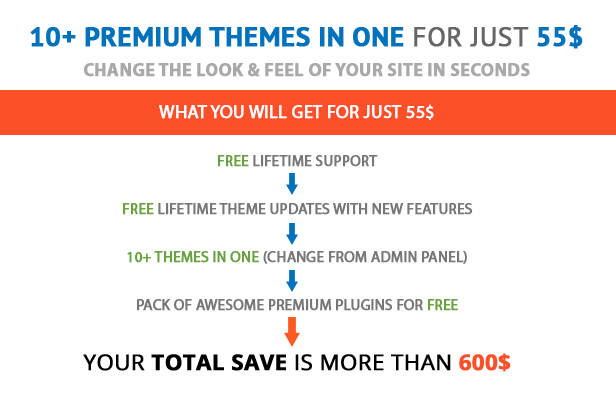 Jollyany is highly customizable theme with unlimited combinations with powerful and flexible theme options, included page builder, diffrent header layouts, BuddyPress & bbPress Variations, WooCommerce Ready, HTML5 & CSS3, Visual Page Builder ($25 value), Mega Main Menu Support ($12 value), Revolution Slider ($16 value), Layerd PSD files included ($10 value), WPML – Multi Language Ready, Unlimited Color Schemes, Twitter Bootstrap 3.1, 100% Responsive Layout Design, Retina Display Ready, Filterable Portfolio Section, Amazing jQuery Effects and Script, Professional Shortcode Elements, Awesome Animations, Social Media Friendly, Search Engine Optimization, Google Fonts Usable, Awesome Font Icons Included, Detailed Documentation title area layouts, mega menu, side menu and tons of shortcodes. It gives freedom to create beautiful websites and unlimited number of different page layouts. Jollyany comes with 30+ different homepage versions. The theme make holds with blistering parallax effects, eye-catching hover animations, and more shining features. And so it is the perfect time to click the purchase switch and bright up your online future.